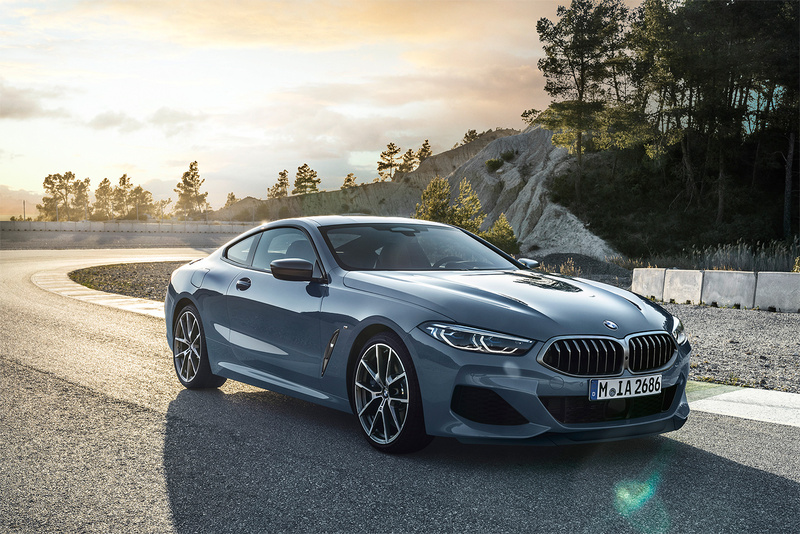 The first generation BMW 8 series was built from 1989–1999 and was one of the best looking coupes of its day. 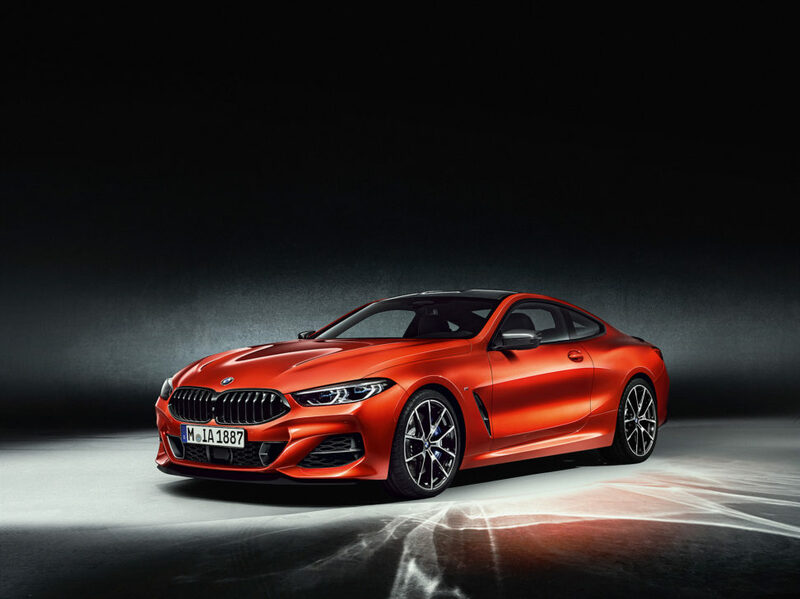 Now, 20 years later, BMW is offering the second generation 8 series and first up is the 2019 M850i xDrive Coupe. It will be built at the BMW Dingolfing plant in Germany, home to BMW 7 Series sedan production. 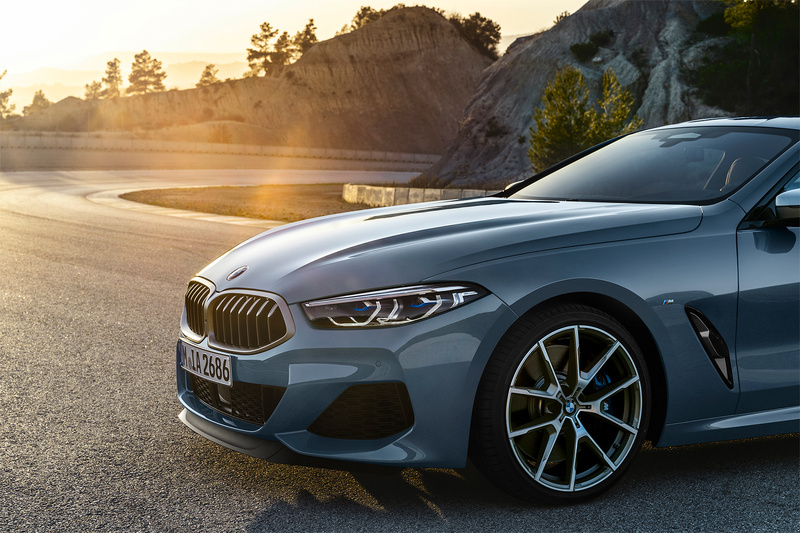 The number ‘8’ in the model name indicates the new vehicle’s high-ranking within BMW’s product range as in the past with the BMW Z8 and with the current BMW i8. 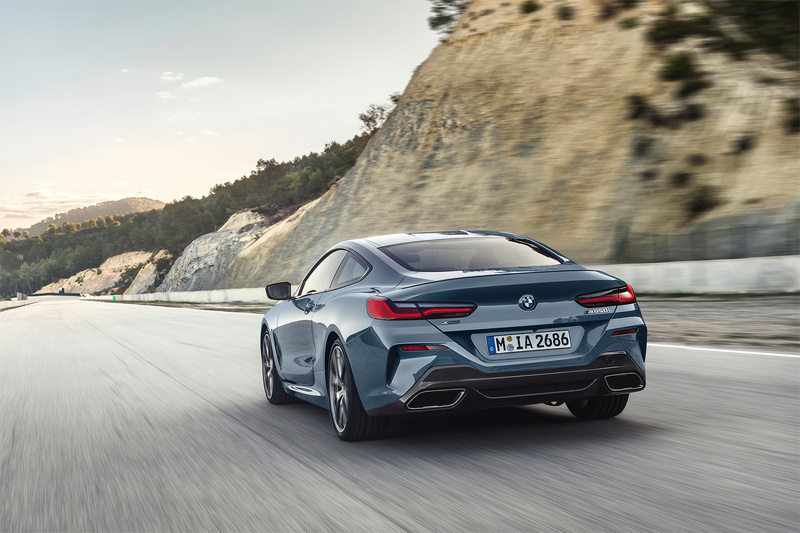 The BMW 8 Series coupe was developed in parallel to the BMW M8 GTE race car, which has already proven its potential in the 2018 FIA World Endurance Championship long-distance races and in the 2018 IMSA WeatherTech SportsCar Championship. 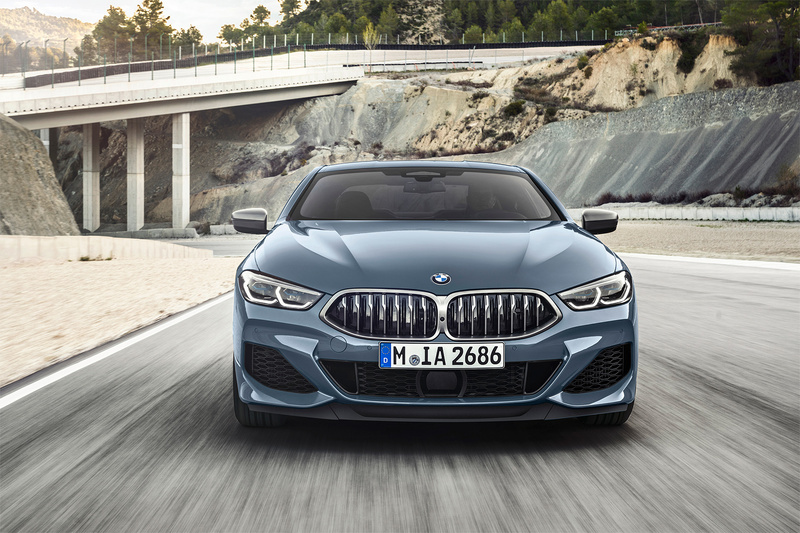 The launch of the M850i also marks the debut of the new BMW TwinPower Turbo V8 engine which will launch the M850i xDrive from 0-100 km/h in just 3.7 seconds. The latest generation of the 4.4-liter 8-cylinder engine has been radically revised. 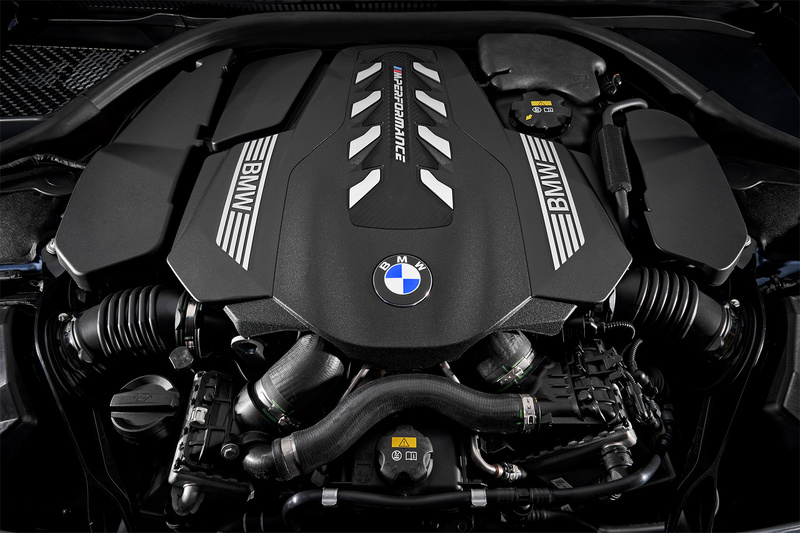 Some of the numerous improvements include two twin-scroll turbochargers with charge air cooling located within the V-shaped space between the cylinder banks, High Precision Injection, VALVETRONIC fully variable valve control and Double-VANOS variable camshaft timing all form part of the M Performance TwinPower Turbo technology. The extensive overhaul has given a substantial boost to maximum power, torque and efficiency. The new V8 engine also serves up an enthralling soundtrack, which is enhanced by the standard flap-controlled sports exhaust system. It can also be toned down for more relaxed cruising. 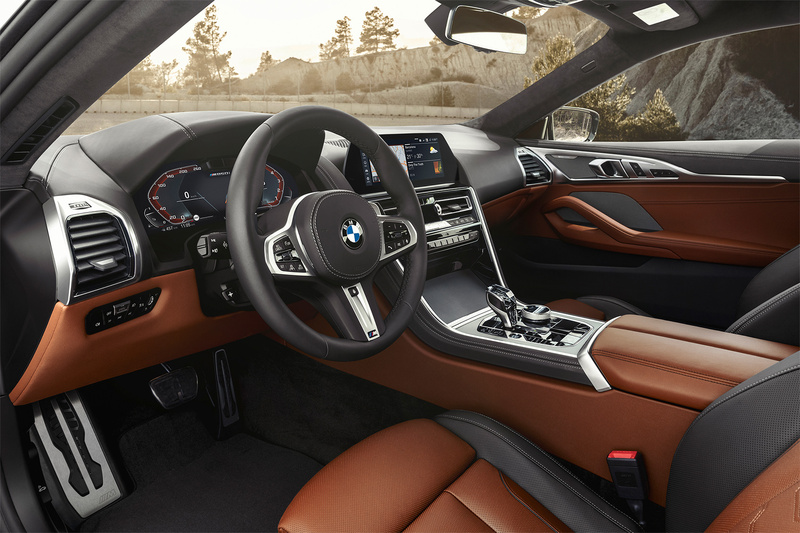 The Driving Experience Control switch can be used to activate both extremely sporty and distinctly comfort-oriented powertrain settings. 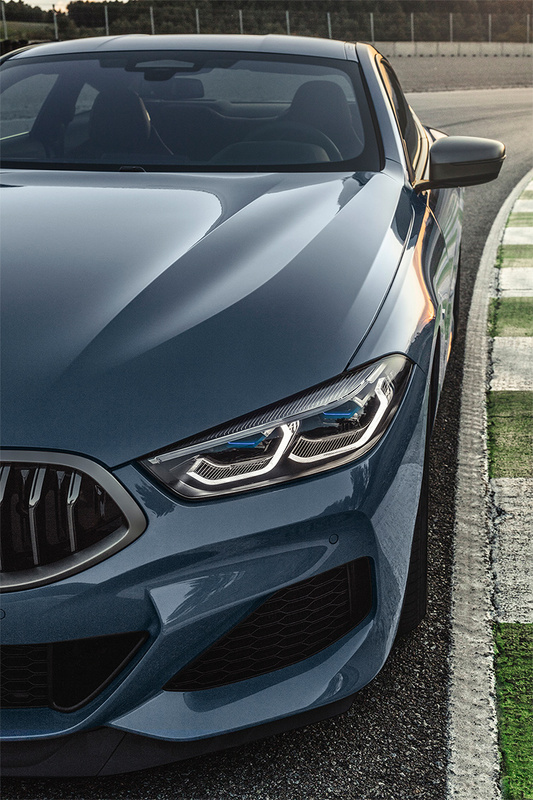 In the SPORT and SPORT+ modes, accelerator response as well as the V8 engine’s power delivery and acoustics, which take on an even more distinctive note in SPORT+, are configured for an exhilarating driving experience. The new V8 engine now generates 523 hp between 5,500 and 6,000 rpm and 553 lb-ft of torque from 1,800 to 4,600 rpm. The enlarged twin-scroll turbochargers and the variable valve and camshaft timing enable throttle losses during the gas-exchange cycle to be eliminated as far as possible and allow effective use of exhaust gas recirculation for lowering fuel consumption. The new engine generates higher torque at lower engine speeds and has a new ignition system and engine management. The latest improved version of the Sport automatic transmission features a weight-reducing design, a newly developed controller and a wider gear ratio spread. 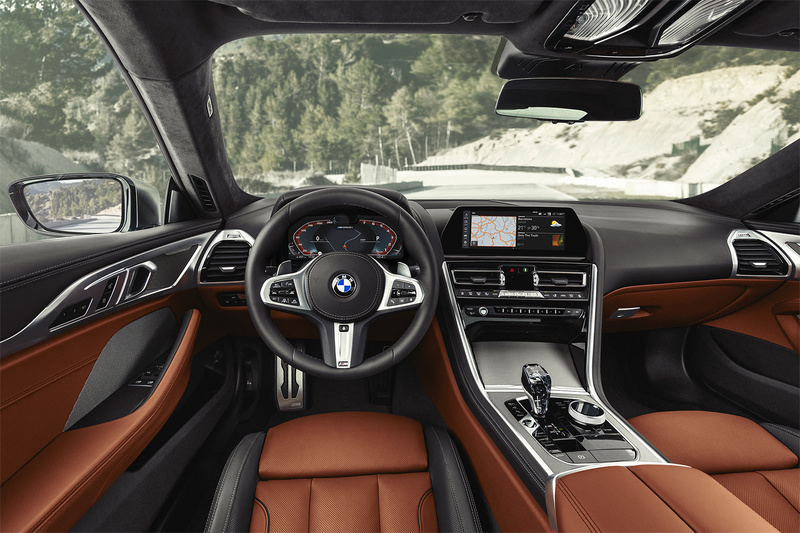 The 8-speed Steptronic Sport transmission has sharper shifts. Shift paddles on the steering wheel are included as standard for manual gear selection, while a Launch Control function allows for accelerating from a standing start with maximum available traction. 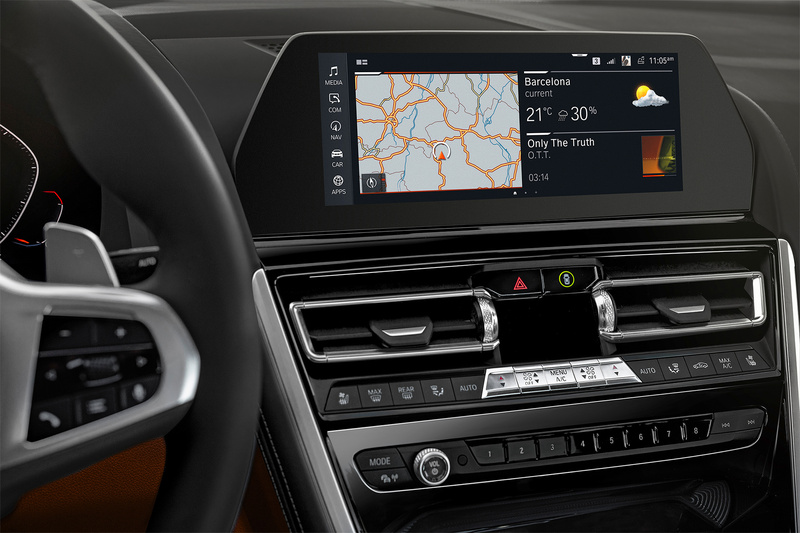 The Steptronic Sport transmission’s controller is able to adapt the gear shifts to the driving situation by use of intelligent networking with the standard Navigation system, enabling it to take the planned route into account. Navigation data is used to downshift early, for example, when approaching an intersection in order to use engine braking to slow the car down. The intelligent controller is able to avoid unnecessary gear shifts between two corners that follow in quick succession, making it possible to drive through at a quicker speed. Intelligent networking increases the efficiency of the drive system by allowing Auto Start Stop operation to adapt to suit the specific situation based on data supplied by the navigation system as well as by the cameras and radar sensors of the optional driver assistance systems. This way, inefficient engine shutdown, for example when stopping briefly at junctions with yield signs, can be prevented. The movement of vehicles ahead is registered in order to determine the ideal moment for stopping and starting the engine. Intelligent networking also boosts the efficiency-enhancing effect of the coasting function. When travelling at speeds between 15 and 160 km/h, it ensures that the powertrain is decoupled as soon as the driver lifts off the accelerator. The car can then simply coast along at idle and with minimized fuel consumption. 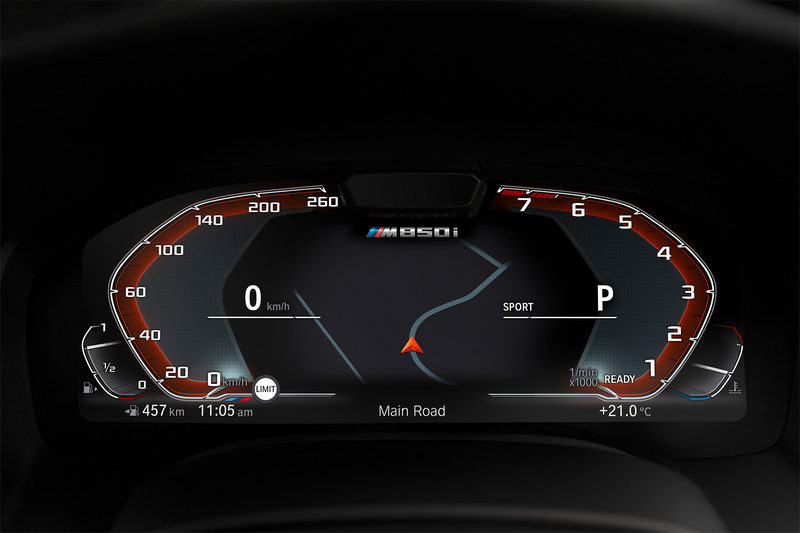 This function is available with the Driving Experience Control switch set to ECO Pro mode. The BMW xDrive intelligent all-wheel-drive system has been improved for more efficient operation. With its rapid, precise and fully variable distribution of drive torque between the front and rear wheels, it maximizes traction and handling stability not just when driving in adverse road conditions, but in performance driving situations as well. Power is split according to demands at all times using an electronically controlled multi-plate clutch that is networked with the powertrain and chassis systems. 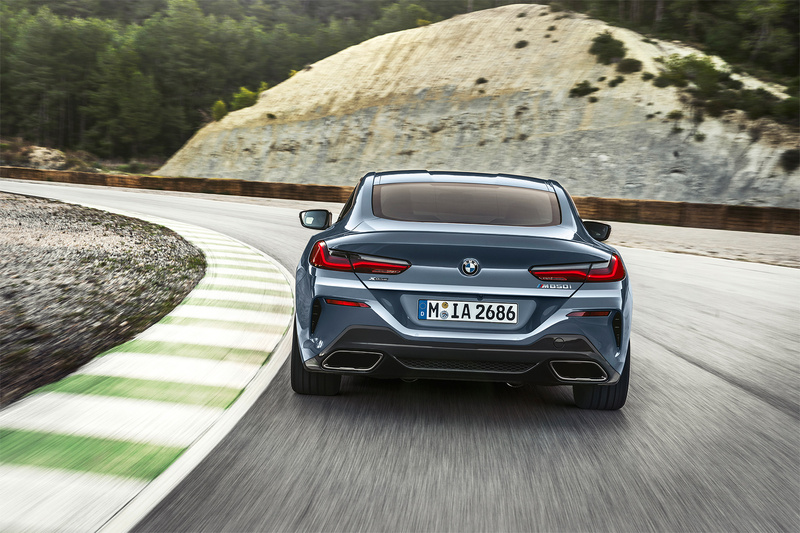 The suspension technology developed for the 8 Series coupe came from the racing know-how of BMW M GmbH and resulted in detailed modifications and enhancements to the overall suspension set-up. Special wheel hubs and wishbones allow camber values on both axles to be raised as far as possible. This significantly increases the car’s ability to put down power through high-speed corners. 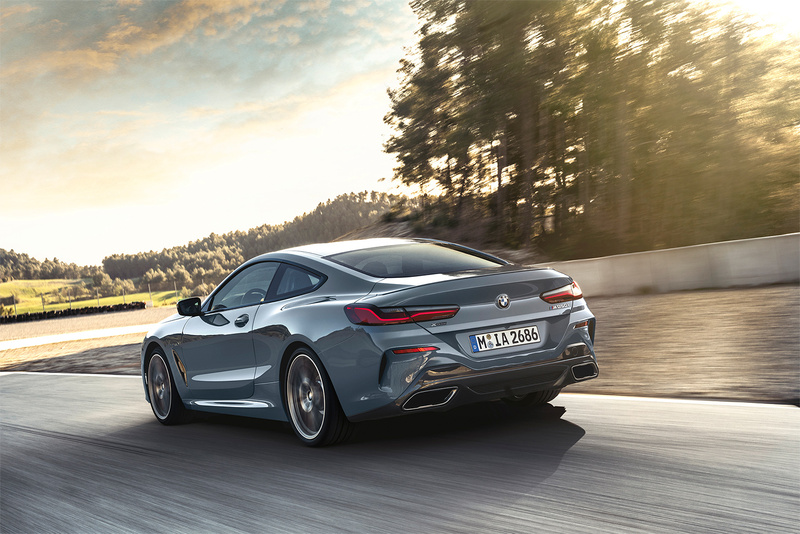 Standard on the all-new BMW 8 Series Coupé is Adaptive M suspension with electronically controlled dampers. The extremely stiff suspension springs reduce roll tendency and allow the dampers to stabilize the wheels as much as possible, avoiding traction losses caused by bumps and ruts in the road surface. Active steering of the rear wheels by up to 2.5 degrees thanks to Integral Active Steering. The rear wheels are steered in the opposite direction to the front wheels at speeds up to 72 km/h. At higher speeds, the steering angle of the rear wheels matches that of the front wheels, resulting in quicker and more accurate steering. In SPORT or SPORT+ mode the Driving Experience Control switch gives a more direct steering response. 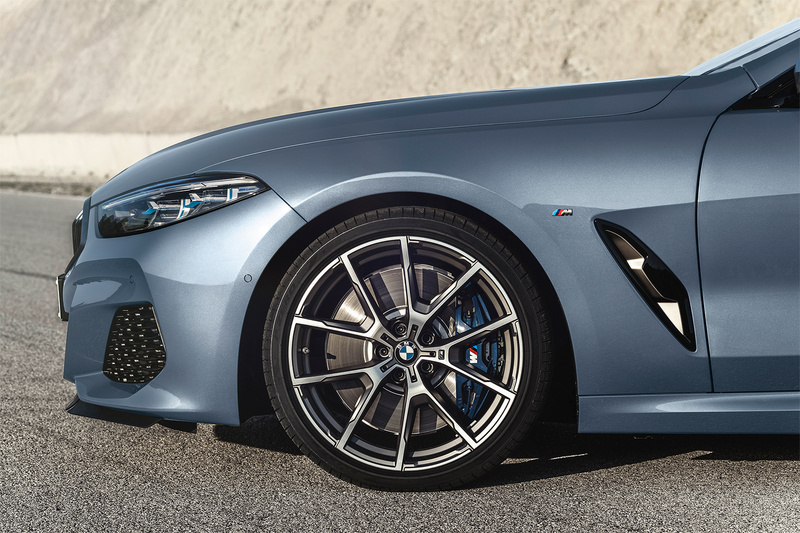 The braking system has been enhanced for better brake feel in the 8 series with four-piston, fixed-calliper brakes at the front and single-piston, floating-calliper brakes at the rear. The integration of the braking system and DSC stability control provides precise braking response, braking control and brake boosting. Inner-vented brake discs and 8 series specific brake pads are used front and rear. Directional cooling air ducts help to reduce temperatures. The 20-inch M light-alloy wheels are standard and come in the exclusive color Frozen Cerium Grey metallic with a high-gloss polished finish on the face. They are fitted with 245/35R 20 tires at the front and 275/30R 20 tires at the rear. 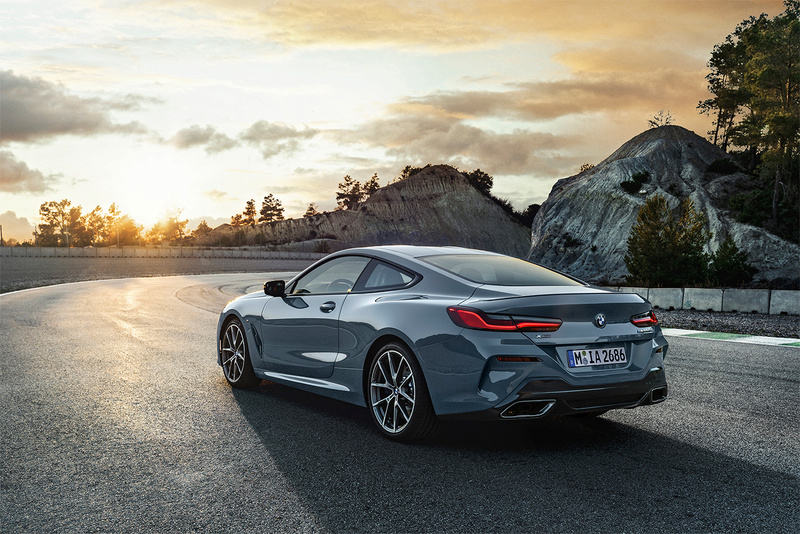 The high-performance tires were developed by the manufacturer specifically for the all-new 8 Series Coupé. 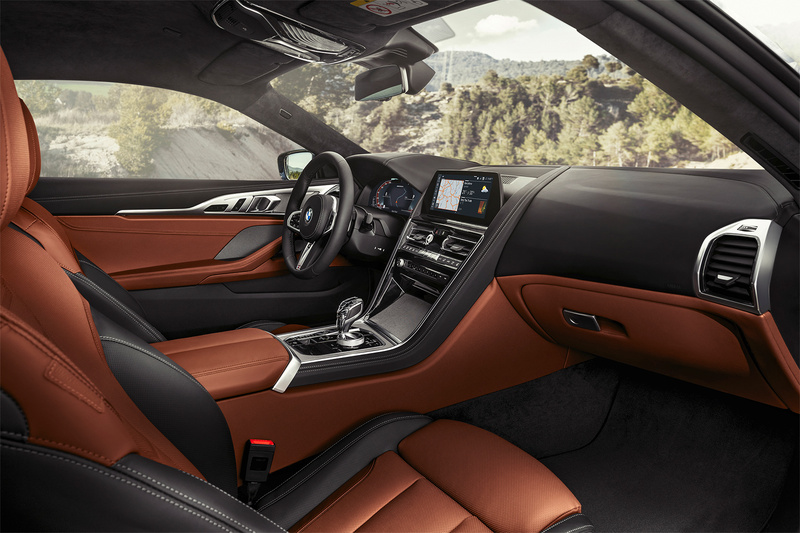 The roof of the 8 Series mimics the design of the traditional sports Coupés by featuring a central cut-out that recalls the “double-bubble” styling of classic racing cars. 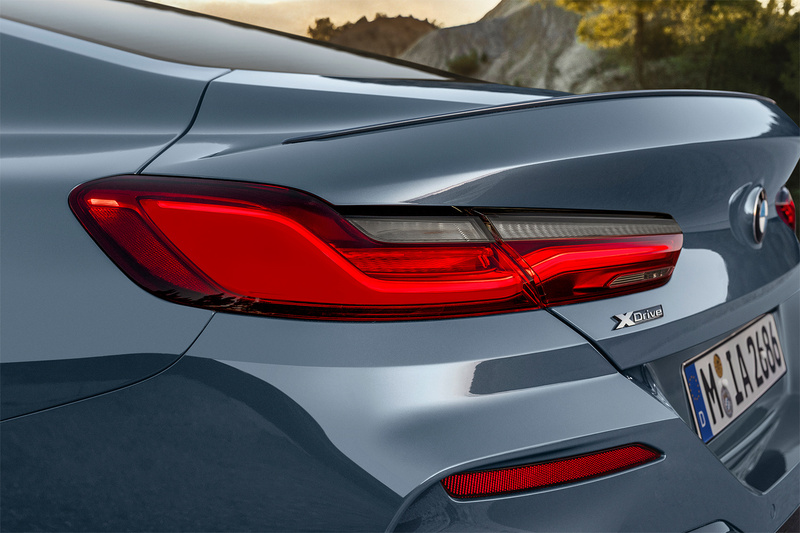 This distinctive contouring is also available on the optional carbon-fiber-reinforced plastic (CFRP) roof which lowers the center of gravity enhancing the luxury sports Coupé’s agility. 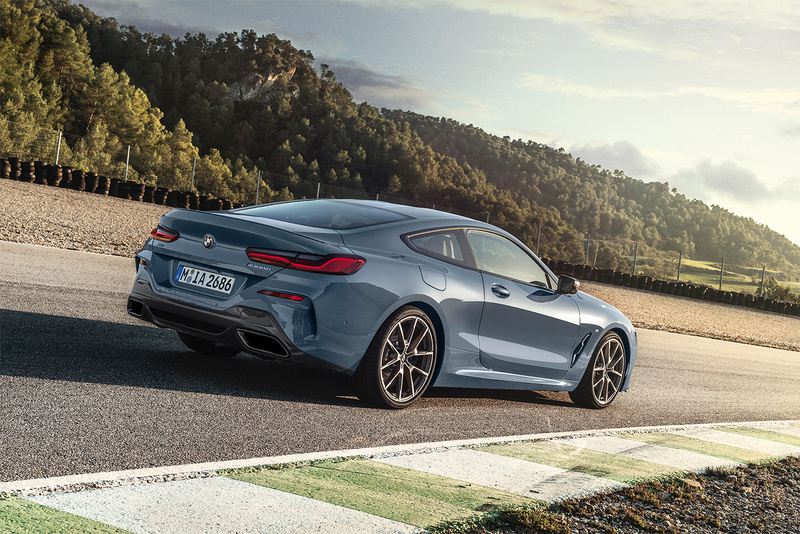 Further weight savings can be achieved with the optional Carbon Package which includes air intake bars, exterior mirror caps, a rear spoiler and a rear diffuser insert all made from CFRP. 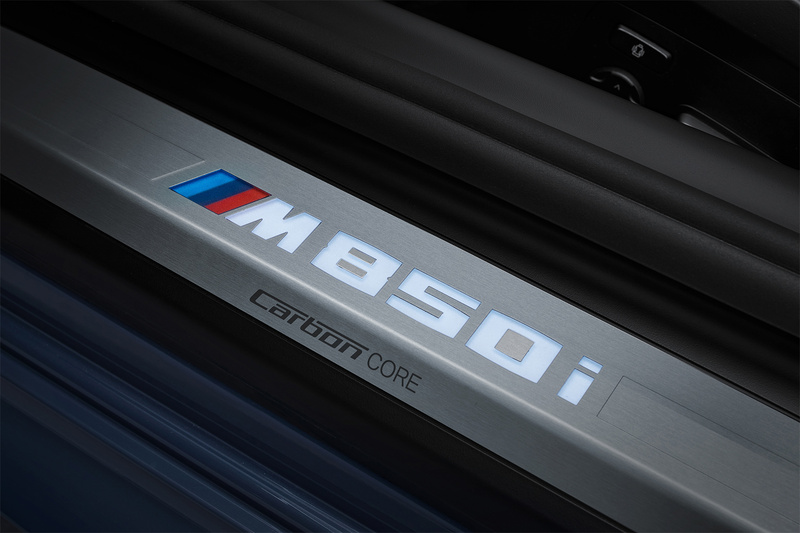 Pricing of the M850i xDrive will be announced closer to the on-sale date in the Fall of 2018.